When you make a high-end piece of fashion wear, odds are you want to make sure that whoever buys that item takes proper care of it so that it will last for as long as possible. Keeping fashion wear looking nice keeps clients happy. Of course, once the client has bought their custom-made crocodile skin boots, your control over how the product is taken care of is over. However, before the client leaves with their fashionable new footwear, there are a few general tips you can share with them so that they can get the most useful life out of their crocodile hide products. When not in use, crocodile leather items such as boots or shoes should be kept in a cool, dry environment. One example of an appropriate place to store crocodile leather boots would be in a shoe closet. For larger crocodile leather pieces, such as jackets, avoid folding them tightly. Crocodile skin, particularly caiman skin, has calcium deposits in it that makes the skin more rigid. Folding the skin too tightly at points that were not meant to be folded can cause damage, resulting in unsightly cracks or crease marks. Ideally, instead of trying to fold leather items and putting them in a small dresser drawer, they should be hung on a coat hanger. Crocodile leather belts should also be hung by their belt buckles to avoid causing cracks in the leather. First and foremost, you should always avoid getting leather excessively wet. While many may assume that their crocodile leather repels water rather than absorbing it, too much moisture can actually cause damage to the finish of the leather. So, if your crocodile leather wear gets wet, it is important to clean off the excess moisture promptly. To remove excess moisture, gently rub the affected area of the crocodile leather product with a soft, dry towel or cleaning cloth to soak up the majority of the excess moisture. 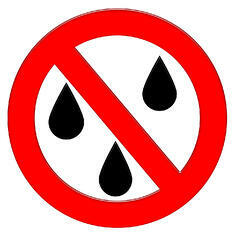 Once that is done, hang-dry the item to finish removing excess moisture. It is important to avoid using direct sunlight or any other direct heat source when drying the leather, as that may cause damage to the finish and result in discoloration or cracks. After the leather is dry, apply leather conditioner formulated for your crocodile leather to help protect the finish and keep it looking new. When applying the crocodile leather conditioner, be sure to follow the application instructions on the conditioner’s packaging. Leather conditioner for crocodile hide should be easy to find at any exotic leather goods retailer. However, if you are having difficulty finding the right crocodile leather conditioner for treating the specific finish of your crocodile skin, contacting the manufacturer can prove helpful for finding the right crocodile leather care products. For removing dirt, dust, and other contaminants, the process from above remains largely the same, possibly minus the time spent drying the leather. First, remove the contaminant with a dry cloth. For fine particulates such as sand, using a slightly damp cloth to remove the dirt can make the initial cleaning process easier, but the leather will need to be dried and treated with conditioner afterward to reduce the risk of damage to the finish. 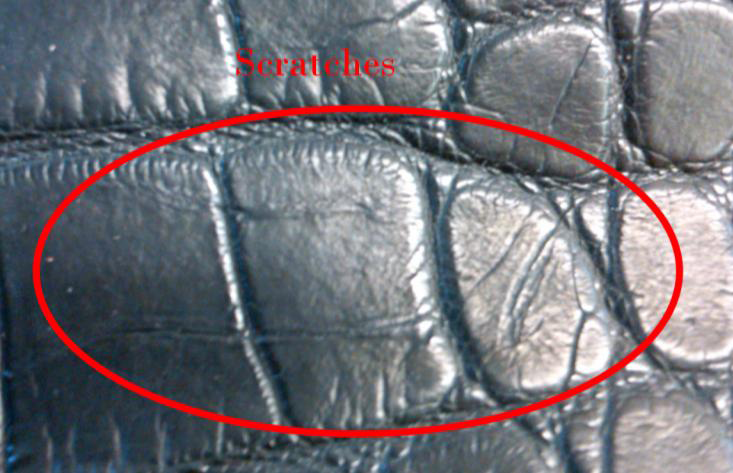 Whenever trying a new leather care product on a crocodile leather item (or any other exotic leather item), first test it on an inconspicuous part of the item first to see if it affects the finish adversely. For example, the inside sleeve or cuff of a jacket. This way, if the new product does cause some discoloration, it won’t be in a place where everyone can see it right away. With proper care, crocodile skin products should remain beautiful and ready for use for years to come. Sharing general care tips such as these, and tips that are more specific to the crocodile leather products you make, can help prolong the useful life of exotic leather goods and keep the clients who purchase your goods satisfied and coming back for more.